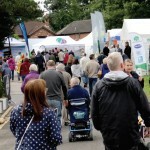 The annual Caravan Extravaganza Weekend at The Lawns in Cottingham, run by the Hull and East Riding of Yorkshire Caravan Manufacturers’ Association (HERCMA), is one of Britain’s biggest caravan exhibitions in the UK and is the first place where members of the public can view the new season’s models. 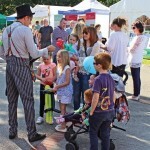 More than 22,000 visitors from all across the UK are expected to attend the two-day event in the University of Hull’s grounds. In addition to more than 140 touring caravans, 160 caravan holiday homes, lodges and park homes, close to 50 other companies will display products and feature services ranging from awnings to decking, verandahs and motor movers. 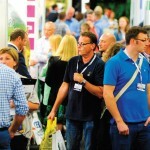 Landscape 2016 is the only trade event dedicated to qualified landscape designers and contractors, architects, local authority landscaping professionals, facilities managers and interior designers from all over the UK and beyond. It is a platform for them to network and source market leading products to use in high end projects worldwide. From country homes to city apartments, from urban lofts and public spaces to luxury hotels, the indoor-outdoor phenomenon affects all types of living spaces. With weather proof rugs, outdoor kitchens, showers on the terrace and sofas in the garden, the indoor spirit is flowing through outdoor spaces and creating a new focus for architecture and technology. Landscape is delighted to host an entirely free seminar programme of international standing with some of the most prestigious names in the industry featuring over 70 different speakers. There will be a strong play element at Leisure Industry Week (LIW) this year, with a dedicated education stream, an outdoor play showcase area and partnerships with the likes of Fit for Sport, Interfun and Attractions Management. Organisers have promised a strong focus on education, offering practical insights into how play businesses can boost commercial performance. Delegates can attend seminars on branding, market diversification, safeguarding and training needs, as well as discussing the importance of play to all ages. Play operators will leave LIW with knowledge that will ultimately help to increase revenue and drive down costs. Making your holiday park or facility stand out from the crowd can be easy when you can add additional features such as hot tubs, saunas, swimming pools and other outdoor living products. Hot Tub Living Expo 2016 is the best place for you to meet with quality companies and distributors and benefit from trade deals and offers. 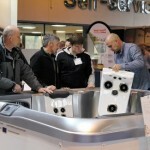 With an exclusive VIP evening on 23rd this event will allow you to find new products to improve your facility. Additionally there will be experts on hand to offer advice on how to maintain and run your new additions in the most cost effective and economical way. 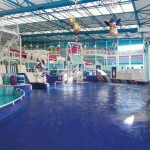 The Vox, Resorts World, Birmingham, B40 1PU Ticket price £50 +VAT (Includes arrival drinks, dinner and entertainment). The independent UK Pool & Spa Awards showcase the very best of the companies involved in the provision of water leisure in Great Britain. A highlight of the awards is the presentation of the Holiday Park Pool of the Year Award – a hotly contested category, which celebrates the outstanding facilities at parks across the country. The prize-giving event will begin with a business networking style drinks reception, followed by a two course buffet dinner and entertainment. Tickets for the business networking style prize-giving event are now available to book online. With limited seats available, early booking is advised. 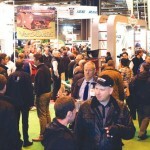 With three large halls containing many of the major players from across the industry, SALTEX 2016 is the ideal place to see products and services which could improve the daily operations of holiday parks. The exhibition will see a plethora of exhibitors representing the likes of play equipment and services, turf maintenance equipment, fencing and landscaping, sports surface design, research and consultancy, seeds, turf, aggregates and treatments, and facilities services management. Visitors can also expect to see new products being unveiled, new unique services and some exciting guest appearances on the exhibitor stands.